The Rusty’s Byron Guide has an eclectic distribution. It is a hybrid of a Visitor Guide and a Magazine, which has been working to represent our community since 1984. Both visitors and residents use and keep the Guide. Our distribution is very important to us and is what differentiates us from all other Byron publications. The Guide is like no other Byron publication in its distribution and content. We print over 50,000 copies annually. We are the most established and original publication…an icon of Byron Shire. People support our publication because they like how it represents Byron and believe in what it stands for. The Guide is carefully spread, circulated and distributed inside and outside Byron Shire. It has maintained its reputation of being a fascinating and engaging read and look at what Byron is all about since 1984. 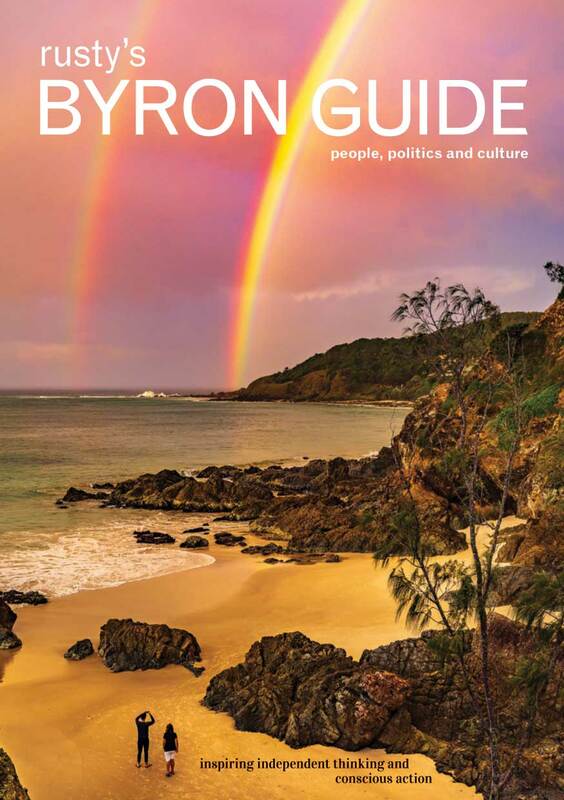 The Original Byron Bay Guide ~ 30 Years in Publishing People, Politics and Culture. 0428 847 390 or EMAIL. Booking deadline is October.